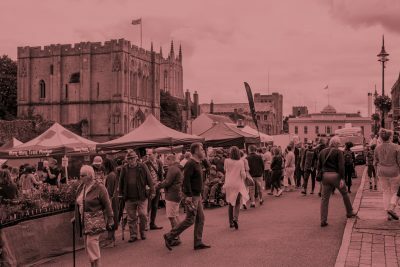 Ourburystedmunds Food and Drink Festival. Chef, cookery school owner and food campaigner Nick Nairn is in high demand as a food consultant, TV presenter and also as a prominent spokesperson on diet and Scottish produce. He uses his integrity, entrepreneurial spirit and talents to spread the word about Scotland’s wonderful natural larder, helping people cook and eat better. Nick started his working life travelling the oceans in the Merchant Navy and relished sampling street food all over the world. Returning home to Scotland, he tried cooking some of the dishes he’d tasted and found an untapped talent. He taught himself the skills that led to becoming Scotland’s youngest Michelin-starred chef in 1991 at his first restaurant Braeval in the Trossachs. He went on to open Nairns restaurant in Glasgow in 1997 to international acclaim. Now, he owns, teaches at and bases his business at the acclaimed Nick Nairn Cook School on the shores of the Lake of Menteith, beside where he grew up. Through Nick Nairn Consulting, Nick produces a popular food range of crumpets and tattie scones available in Scottish supermarkets. Nick Nairn Consulting also operates two Hilton partnership restaurants, Native in Aberdeen and The Kailyard in Dunblane. Nick’s television career began on Ready Steady Cook which launched him as a household name in 1995. He went on to further BBC series’ including Wild Harvest, Wild Harvest 2, and Island Harvest, and Nick Nairn and The Dinner Ladies which won a Glenfiddich Award. He represented Scotland in the finals of BBC’s Great British Menu, ultimately winning the opportunity to cook Scottish venison for the Queen’s 80th birthday banquet. Nick is now a regular presenter on Landward, a guest on BBC 1’s The One Show and Saturday Kitchen, and James Martin’s Saturday Morning on ITV. In his latest TV series Paul & Nick’s Big Food Trip, with chef Paul Rankin, the chefs follow the trail of the first Ulster-Scots who settled in the New World, meeting and cooking with their descendants. Broadcast on STV and UTV, they have explored Scotland and Northern Ireland, spent two series in the USA, series 4 in Canada and the current series 5 sees them exploring New Zealand. 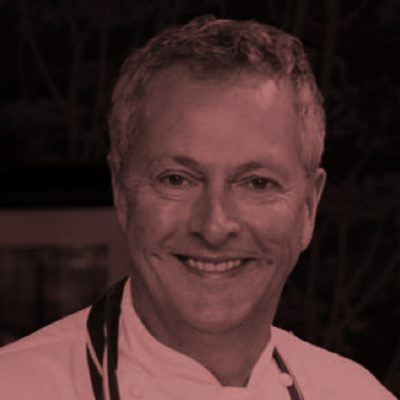 Nick has authored ten cookery books including Nick Nairn’s Top 100 Salmon Recipes, Nick Nairn’s Top 100 Chicken Recipes, Nick Nairn Cook School Cookbook, and New Scottish Cookery. In 2007 Stirling University recognised Nick’s contributions to Scottish cuisine and his work in promoting healthy eating, awarding him an honorary doctorate. Dean Edwards became a household name, cooking family-friendly recipes on ITV’s Lorraine after regular appearances on ITV’s This Morning in 2009, where his cheerful persona made him a huge favourite to millions of viewers. After bursting onto the chef circuit – coming second in BBC’s Masterchef Goes Large in 2006 – he sought to change his life radically. Dean left his career as a digger driver to pursue his love of cooking and food. Bristol-born Dean’s ethos on food is that it should be achievable, simple and above all taste fantastic. The dad-of-one takes inspiration from across the globe but always uses ingredients familiar to us all. 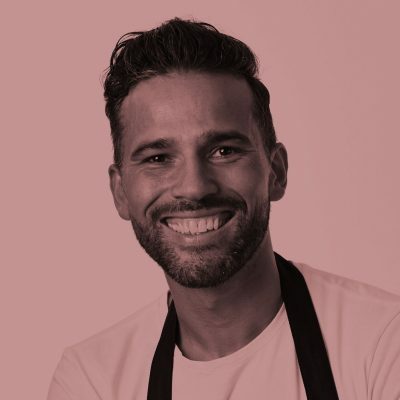 His passion for food is infectious and he’s spent years inspiring home cooks up and down the country to get back into the kitchen and enjoy the cooking experience. Dean has also been a brand ambassador for British Eggs, Philadelphia, British Asparagus, Bacofoil and OXO, to name but a few. He’s also been featured on shows including Good Morning Britain, Masterchef, Take on the Takeaway, Market Kitchen, QVC, Saturday Cookbook and The Big Eat. A well-known face on the foodie festival scene, Dean is the author of three cookbooks Mincespiration, Feel-Good Family Food and Cook Slow all of which have been greatly received by the public. Dean is also a regular contributor to The Sun’s Fabulous magazine. He’s recently featured in the pages of many outlets including Daily Mail Online, Now magazine, BBC Easycook, Delicious magazine, ASDA Good Living and the Sunday Post. Dean also has his own parenting and foodie blog. 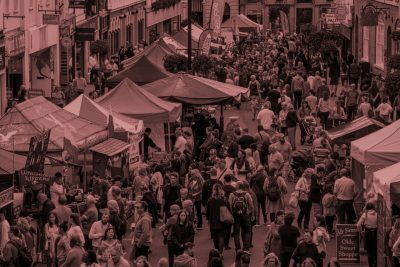 The Buttermarket and Cornhill will host an extensive selection of food and drink stalls from local businesses and producers. A broad selection of top quality produce reflecting the wealth of food that is farmed, grown and produced in East Anglia. There will be one final cookery demonstration at 4.00pm. 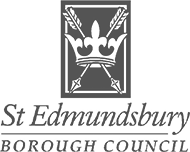 Once again the Our Bury St Edmunds beach will be back in town. 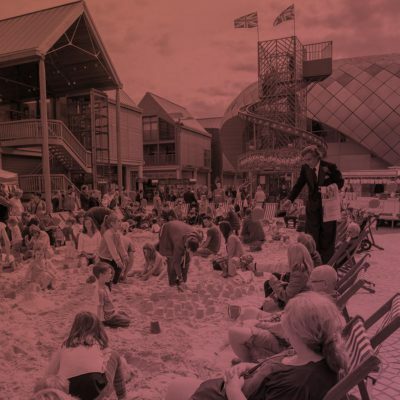 Make sure you pop along to Charter Square to enjoy the gorgeous sun and golden sand. 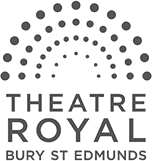 Who needs the Algarve when you have Bury St Edmunds! 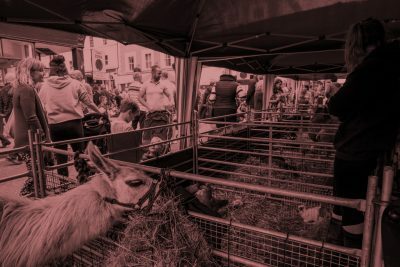 The ever popular mini-farm is back featuring pygmy goats, miniature pigs, an alpaca, a miniature horse, and lots more, which will all be found on Abbeygate Street. 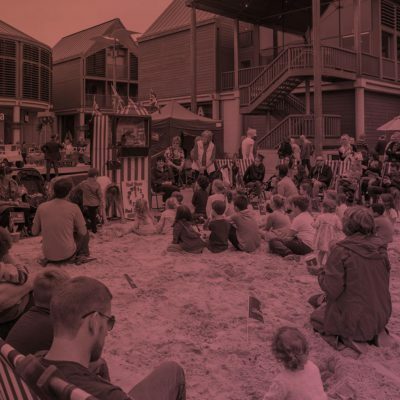 Don’t miss the classic Punch & Judy show at the Our Bury St Edmunds beach. 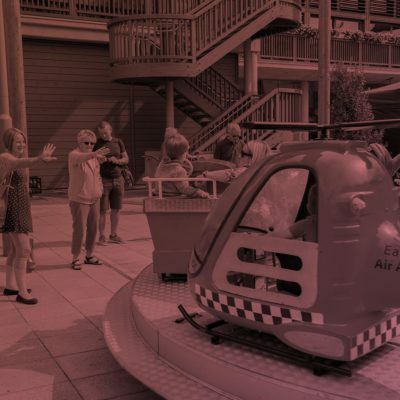 It will keep the little one’s laughing for the whole day! 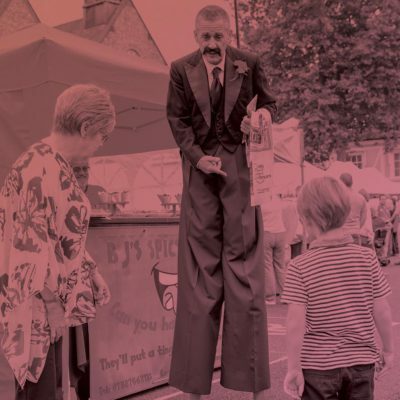 Throughout the Festival there will be a balloon modeller, stilt walker and magician to keep the little one’s amused. They will be across the town so make sure you keep your eye out for them! 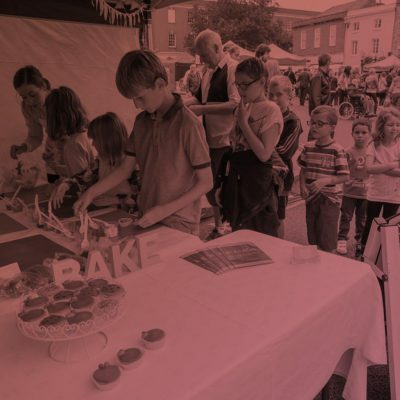 Budding chefs of the future will find an opportunity to try out their creative skills at the Food and Drink Festival with children’s workshops in cake-decorating. 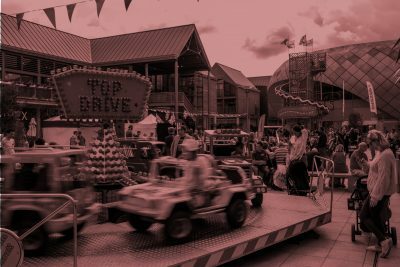 Make sure you head to the arc Shopping Centre to make the most of the helter skelter and children’s roundabouts.